(February 14, 2013) Multi-platinum Grammy-nominated Island Records group Fall Out Boy has ended their hiatus with force. With the global launch on February 4th of their new single, “My Songs Know What You Did in the Dark (Light Em Up)," the track hit #1 on the iTunes (http://smarturl.it/MSKWYDITD) Singles Chart in the U.S. and #1 in multiple countries around the globe. The single sold over 161,000 units in the first week in the U.S. alone. Radio has also showed strong support, as the song was #1 Most Added at Modern Rock in its first official add week, and was also added at pop radio with top stations including Z100 (NY), KISS (Los Angeles), SIRIUS Hits 1 coming on board in the U.S. and Radio 1 in the UK among others around the globe. The “My Songs” video featuring 2 Chainz has been played over 5 million times since Feb 4 as well. The launch took place at the original Comiskey Park, the location of Disco Demolition Night in 1979. The band announced six small shows during the Feb 4 launch, and each one in NYC, Chicago, Los Angeles, London, Berlin and Paris sold out in seconds. Days later, the band’s first tour since 2009 went on sale and tickets sold out in record time. The Rave in Milwaukee broke a 20 year venue record for fastest sell out. In addition, Fall Out Boy is headlining the annual Skate and Surf Festival in Freehold, NJ on May 18, playing at the Summer Sonic Festival in Japan on August 10 and 11, and performing at the prestigious Reading and Leeds Festivals in the UK in August. The band debuted their hit single on national television on Jimmy Kimmel Live last night. Fall Out Boy now heads to Houston on February 16 for the NBA All Star Weekend (airs 7:00pm on TNT). 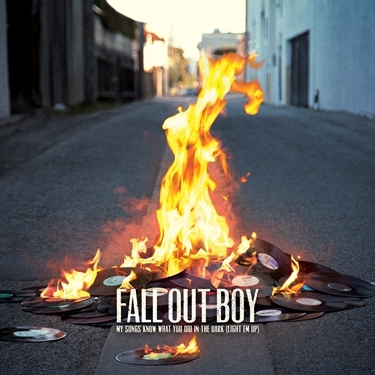 SAVE ROCK AND ROLL is Fall Out Boy’s fifth studio album, and is their first new studio album since Folie Á Deux in December 2008. 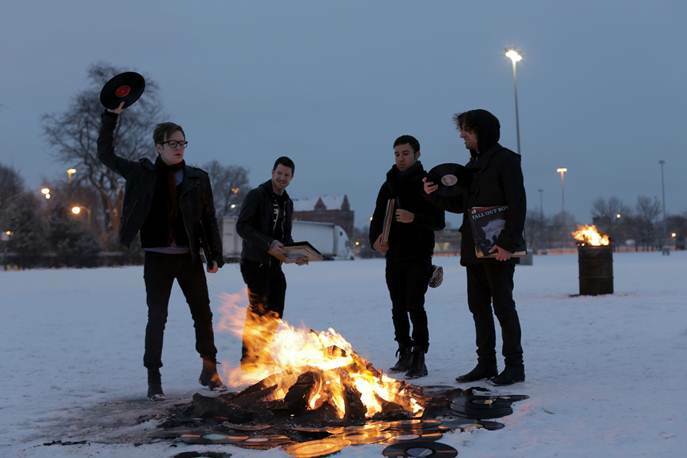 Hailing from the Chicago, Fall Out Boy - Patrick Stump (vocals/guitar), Pete Wentz (bass), Joe Trohman (guitar), and Andy Hurley (drums) - have appeared on the covers of Rolling Stone, Spin, Blender, and Alternative Press, among others. They have performed on NBC’s Saturday Night Live, The Tonight Show with Jay Leno, Late Night with Conan O’Brien, CBS’s The Late Show with David Letterman, ABC’s Jimmy Kimmel Live, and many more. In addition to their Grammy nod, they have won three MTV Video Music Awards.